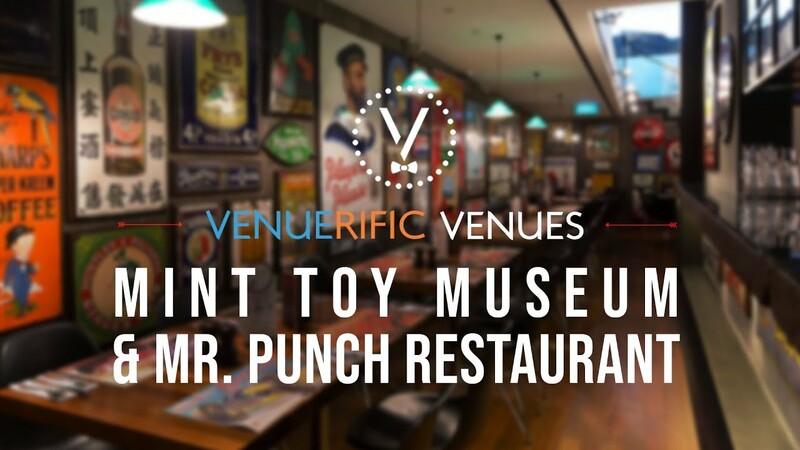 Best known for his work in the puppet show, ‘Punch & Judy’, Mr Punch now introduces his latest venture at 26 Seah Street: Mr Punch Public House. Iconic for its walls, which are adorned with vintage enamel and tin signs, the space exudes just the kind of odd familiarity that makes it feel like home to a travelling old-timer. Cozy and intimate, the basement is perfect for casual events and private get-together, while the wild and free can find their home at the rooftop. True to his puppet shows origin, Mr Punch adds showmanship to each event, from his Opening Act table to his Finale display. Mr Punch Public House provide the inspiration and the venue that will make your event be it a birthday party or a company get-together a truly memorable and unique one!